Dimensions without jackhammer: Length 3'ft,3"in X Width 1'ft 3"in X Height 12" inches. W/Jackhammer weight comes out to 95lbs. The trolley folds down for vehicle storage. 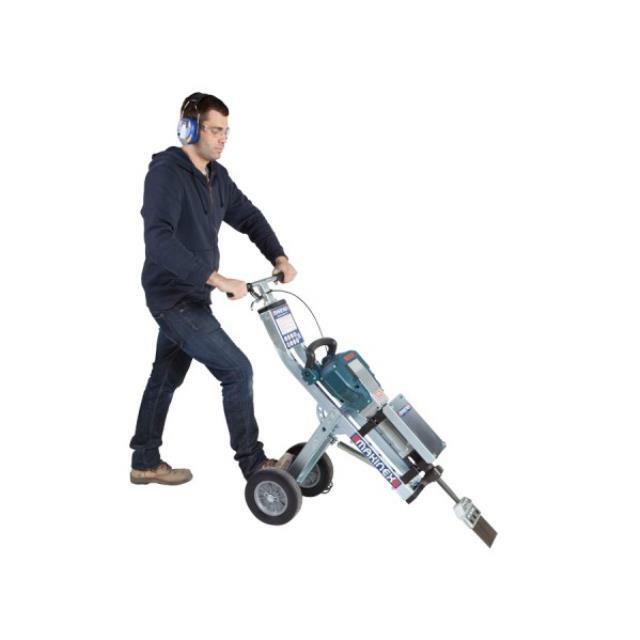 *Overall length - 32- "
* Please call us for any questions on our stripper tile hammer cart rentals in Sterling VA, Herndon VA, Leesburg VA, Reston VA, Chantilly VA, McLean VA and Greater Arlington VA, Alexandria VA and Bethesda MD.